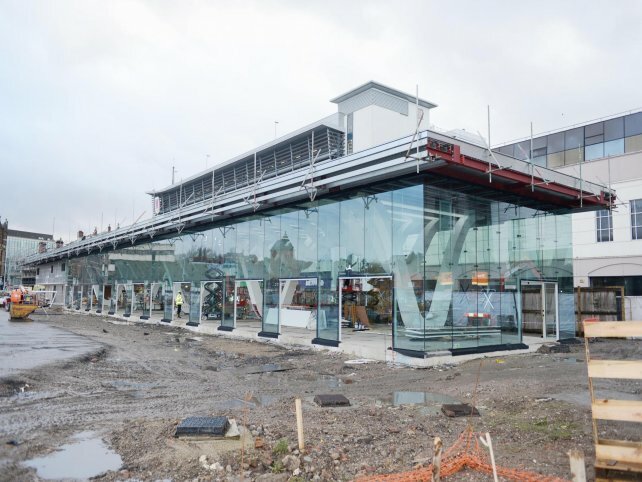 The new Blackburn bus station was designed by Capita Symonds Architects and built by construction and civil engineers Eric Wright Group on behalf of Blackburn with Darwen Borough Council. The £4.7m project officially opened on 1 May 2016. It is the cornerstone of the £40m Pennine Reach scheme to speed up travel between Blackburn, Darwen and Hyndburn. The relocation to its new site provided direct links with the rail station and the nearby cathedral quarter development and an increase in footfall outside the shopping centre and the new market was anticipated. 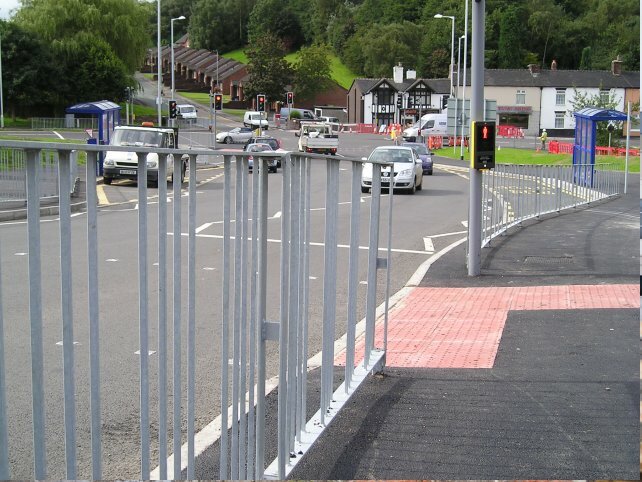 The installation of pedestrian guardrail has helped to guide users safely along designated pathways. Alpha Rail was appointed by the fencing subcontractors, Wallbank Fencing Limited to manufacture and supply 244 linear metres of 1050mm high V4 Optirail™ High Visibility Pedestrian Guardrail. The V4 model of guardrail features a staggered bar system which provides an optimum sight angle of 5 to 14 degrees and is generally used on straight roads where traffic is moving at low to moderate speeds. "Alpha Rail was recommended as a supplier of the Optirail™guardrail that had been specified by the architect. The completed installation looks fantastic and it was simple to install. I would highly recommend Alpha Rail. The sales team was friendly, efficient and professional and all delivery schedules were met"